The late Andy Williams moved his golf clubs, his hat, and his autographed Minnie Pearl picture to Branson, Missouri, and settled right into his contemporary Moon River Theatre. One of pop music’s biggest hit makers, Williams set precedence in the Midwest’s hottest entertainment town as the first entertainer from outside the country music field to launch his own theatre and show. Many naysayers shook their heads and predicted he would fail. But Andy Williams knew what he wanted and he set about building his unique Moon River Theatre anchored on 22 lush acres that rivals any major city’s park. He studied the bluffs alongside Highway 65 leading into Branson from the South and hired masons and artisans to duplicate the weather-worn Ozark mountainside onto the outside of his theatre. 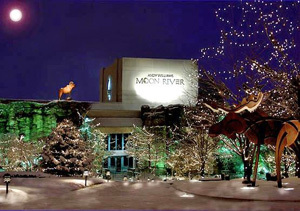 Moon River, abundant with fish, flows around the outside of the theatre, falling in secluded corners into small waterfalls. No detail was lacking down to the forest of Bradford pear trees forming a veritable forest in the green spaces on the parking lot slanting on a hillside behind the theatre. Six years after Williams and his brothers debuted in Las Vegas; he went solo on “The Tonight Show.” What started out to be a two-week appearance lasted nearly three years. In the meantime, he recorded songs that became standards, “Hawaiian Wedding Song,” “Canadian Sunset”, and “Lonely Street,” to name a few. His popularity as one of the world’s greatest singers launched his successful NBC television series, “The Andy Williams Show.” For nine years he performed his music via television in the living rooms of folks just like the ones in his Iowa home town. From 1959 through 1987 a dozen TV specials made Williams a household name in the United States. Williams spoke with regret that television networks lost interest in variety shows and Christmas specials. 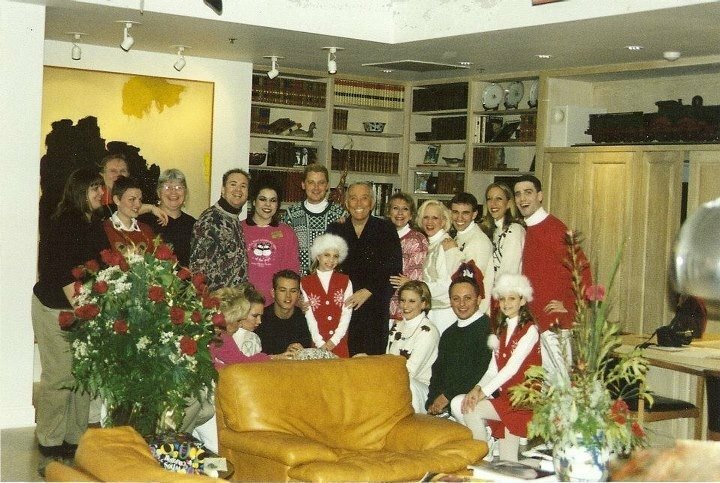 So to compensate—as only one as successful as Andy Williams can—he staged a lavish December spectacular in his Branson theatre, complete with snow, his famous Cookie Bear from television days, and dancing, decorated cookies. He became “Mr. Christmas” in Branson, known not only for singing “It’s the Most Wonderful Time of the Year,” but also for his sparkly Christmas sweaters. Andy Williams spent the last 20 years of his career performing on his own stage at his Moon River Theatre in Branson. Upon his death at age 84, Jimmy Osmond bought Moon River Theatre, promising his mentor to carry on the legacy. And the wonderful shows continue in the renamed Andy Williams Performing Arts Center. 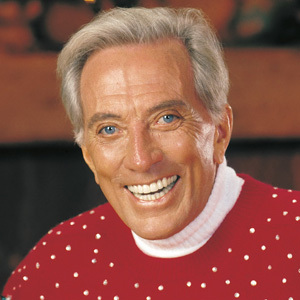 The annual Christmas show is done in the spirit and tradition of Andy Williams’ television shows. 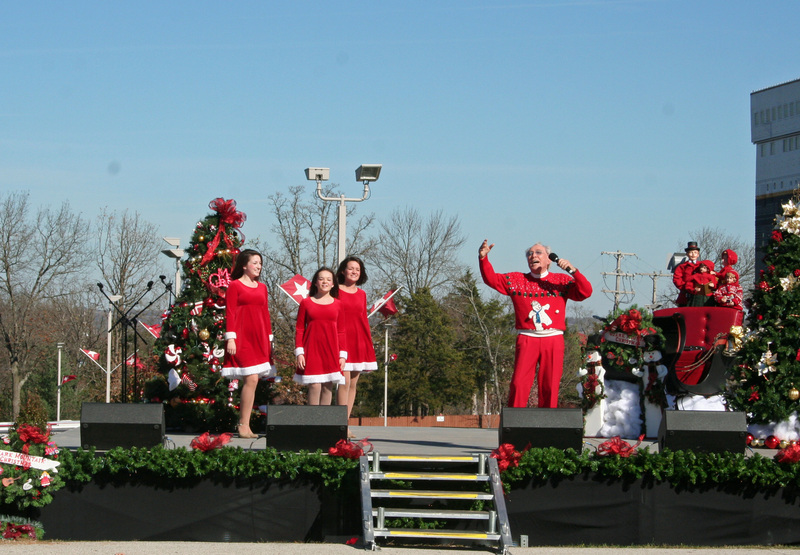 The Lennon Sisters, and the second generation of Osmonds, perform. Jimmy Osmond said his family would be “…forever grateful for the interactions we had with Andy Williams. Not only did he discover us as a group, but allowed us the opportunity to be discovered as individuals and develop our own talents,” Osmond said. “The clarity and warmth and grace of his singing shaped my love of music as I watched my brothers perform with him on his weekly show,” Donny Osmond continued. “Andy Williams gave me several voice lessons when I was only seven. Donny’s sister, Marie Osmond, who made her TV debut on the Andy Williams Show at age three, said Williams was “the first person to affect my career. Andy Williams is not forgotten—not in Branson—not in the world. 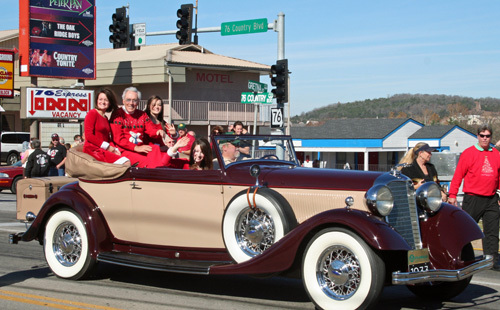 When his voice comes on television with the words, “It’s the Most Wonderful Time of the Year,” he is remembered as Mr. Christmas, sporting a classy sweater and serving as Marshall of Branson’s Christmas Parade of the Stars. Indeed, he was a superstar. Yet, he made himself a hometown neighbor in Branson.